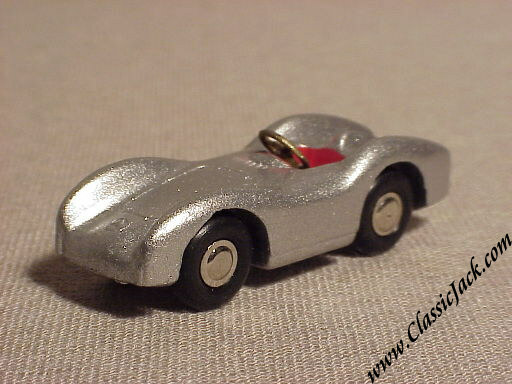 Schuco Piccolo Mercedes Benz W196 Stromlinien, in Drawer Box. This is one of the series of three that were the first Piccolo's to be re-issued by the revived Schuco company and dates back to November 1994. 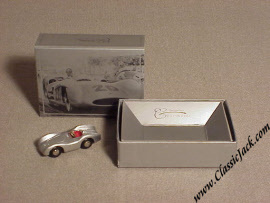 It is a re-issue of the Mercedes Benz Stromlinien and comes in a luxurious silver box with an "etched" picture of the real car. Being the first re-issue, the paint is a lot "rougher" than later issues and the model does not yet carry a race number. The model was made for the Daimler Benz Museum and it was really this small series that stated the renewed interest in Piccolo's.